Did you know that you can support the San Diego Watercolor Society by shopping on Amazon? Shop at smile.amazon.com/ch/95-3153264 and AmazonSmile donates to the San Diego Watercolor Society. For those who missed the great coverage of the San Diego Watercolor Society on KUSI’s Good Morning San Diego, here is the replay from their January 7, 2019 broadcast. 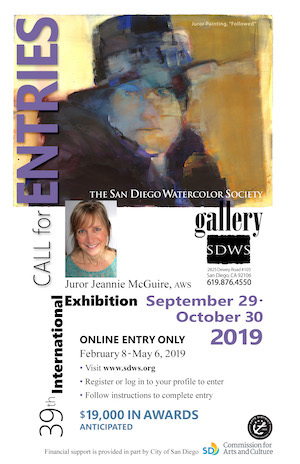 The 39th International Exhibition at the San Diego Watercolor Society is open for entry until May 6, 2019. This year, we anticipate $19,000 in awards and look forward to an exceptional show. 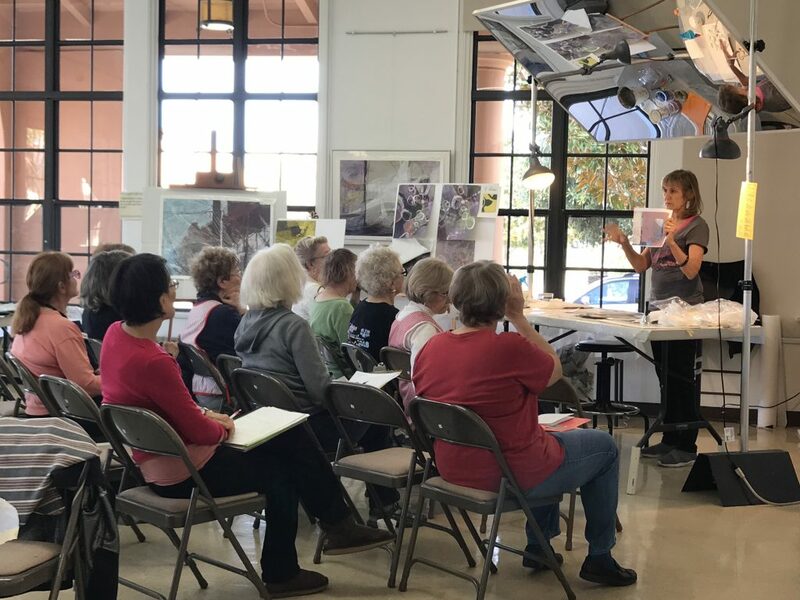 The one and only, Kathleen Conover, was at the San Diego Watercolor Society to teach her Chaos to Order workshop. 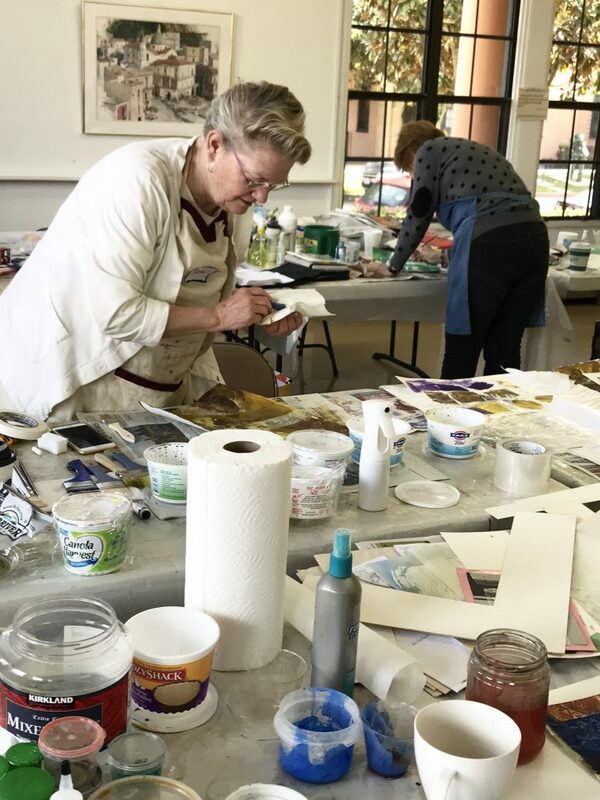 Workshop attendees had a blast learning new techniques and created some incredible artwork! The San Diego Watercolor Society offers numerous plein air paintout opportunities. 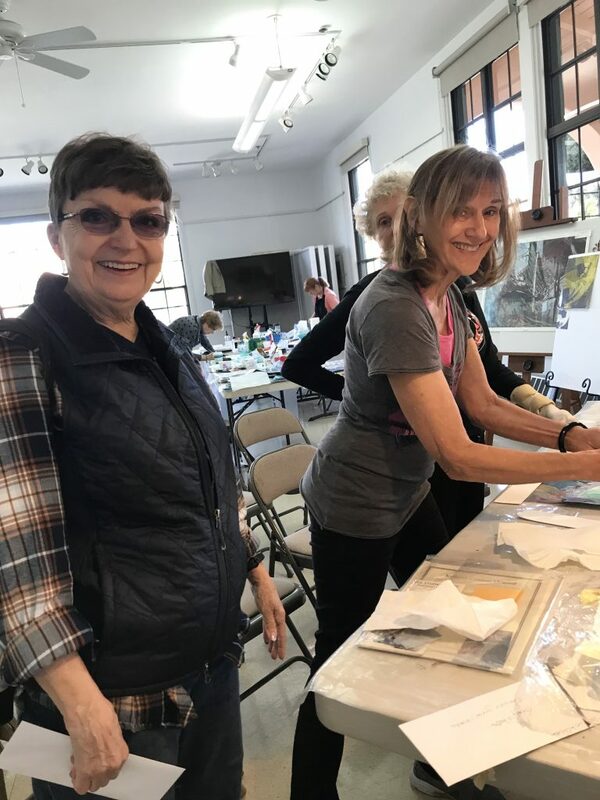 The most recent paintout was at Old Poway Park on March 9, 2019 and featured demo artist, Keiko Tanabe. 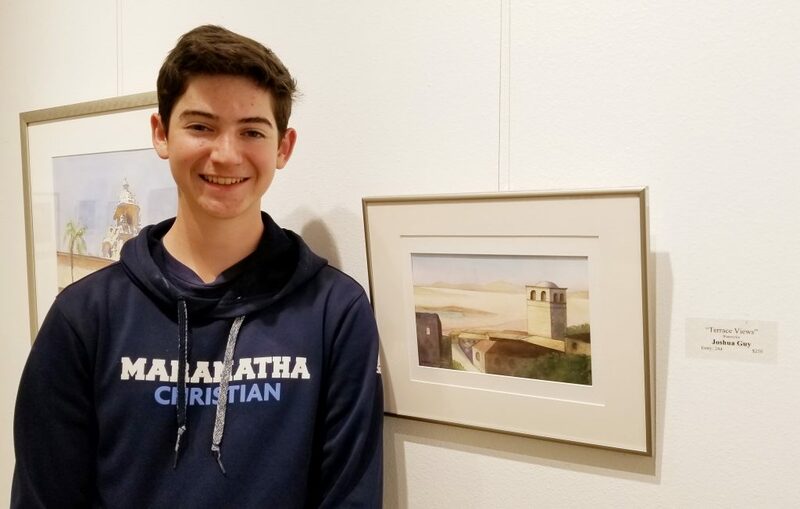 On the First Friday of each month, the San Diego Watercolor Society hosts a reception to present the month’s new exhibition. From as many as 300 pieces entered, the juror selects 95+ for exhibition and sale.